← Some Movement on a Host of Global Trade, Tax and Commerce Issues. Structural Changes, Spheres of Influence and Global Trade …….. 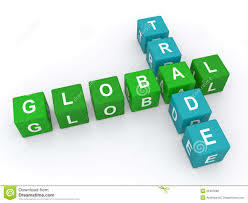 Web firms, national security, spheres of influence, dispute systems, and structural changes are all current issues concerning global trade relations. Changes are clearly happening and the global landscape is changing rapidly from what existed just a few years ago. This call for even more creative policy responses. Even better dispute resolution processes and diplomatic actions are required. ….. Nat’l security, antitrust, tax reasons are why EU is attacking US Internet firms. This is a building issue. “EU Targets U.S. Web Firms.” Wall Street Journal (November 28, 2014). ….. Long article. But short story. ‘Zeroing’ is invalid in dumping cases. About time the U.S. Just stops using it. “U.S. Rejects WTO’s Methodology.” Note — Myer Brown. (Nov. 25, 2014). ….. Spheres of influence & int’l relations. Are they reemerging or have they never really gone away? We’ve always had them. Like power politics. “Spheres of Influence.” Financial Times (Nov. 25, 2014). ….. Good editorial in the Financial Times claiming foreign direct investment is now becoming more important than traditional cross-border trade since structural changes are taking place in the global system. “Investment & Structural Global Changes.” Financial Times (Nov, 23, 2014). ….. New information from the WTO shows how widely its dispute system has been used over the last 15 years. Very interesting & very encouraging. “2013 in Dispute Settlement.” (WTO — Nov. 23, 2014). This entry was posted in Global Trade Relations and tagged national security and trade, spheres of influence, structural changes, web firms and the EU, WTO dispute resolution system. Bookmark the permalink.